This is a home you must see to believe. Upon entering through the custom-built, steel front door you will be amazed at how far the eye can see. 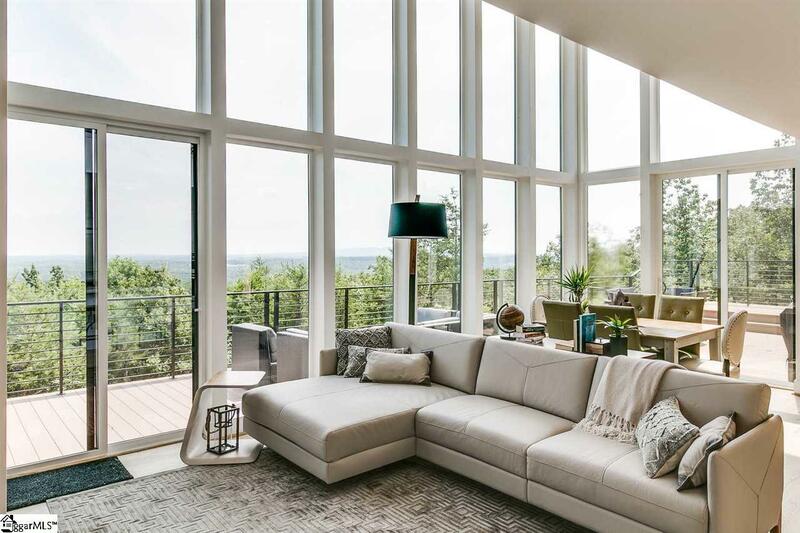 The open floor plan is specifically designed around the sun for energy efficiency, and around the view, which includes Lake Cunningham and Paris Mountain. 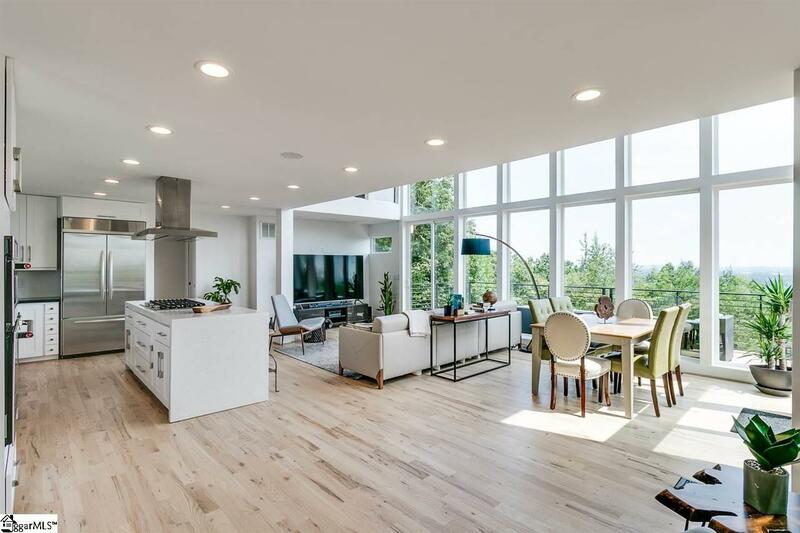 The kitchen boasts sleek cabinetry, concrete terrazzo counters, expansive water-fall island and high-end, stainless steel appliances. The white oak hardwood floors perfectly compliment the clean design and flow throughout the living areas and bedrooms, and the look continues onto the custom free standing stairs with solid white oak planks. The living room and dining room are completely open to the kitchen and open to the deck for ease of entertaining. Additionally, on the main-floor there is a bedroom with private deck and a full bathroom featuring ceramic floor and real natural stone shower. Upstairs features a loft, that would be perfect as an office or reading area and the master suite. The master boasts a private deck, walk-in closet and bathroom offering double shower heads in the natural-stone shower, double sinks, and large stand-alone, soaking tub. It is truly a retreat. In the finished, walk-out basement there is a large bonus/recreation room with fireplace and full bathroom, a walk-in laundry room with a folding counter and cabinets, and two guest bedrooms (these bedrooms do not have closets). The 1980s home that once existed here is a distant memory, as everything from the foundation up has been re-built with the highest attention to detail. 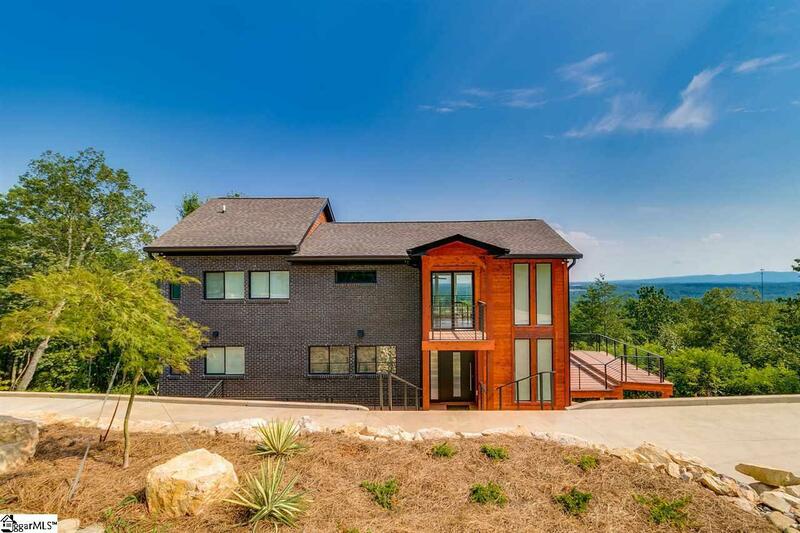 The ironspot brick and Canadian cedar wood exterior provides a feeling of a Mountain get-away retreat. 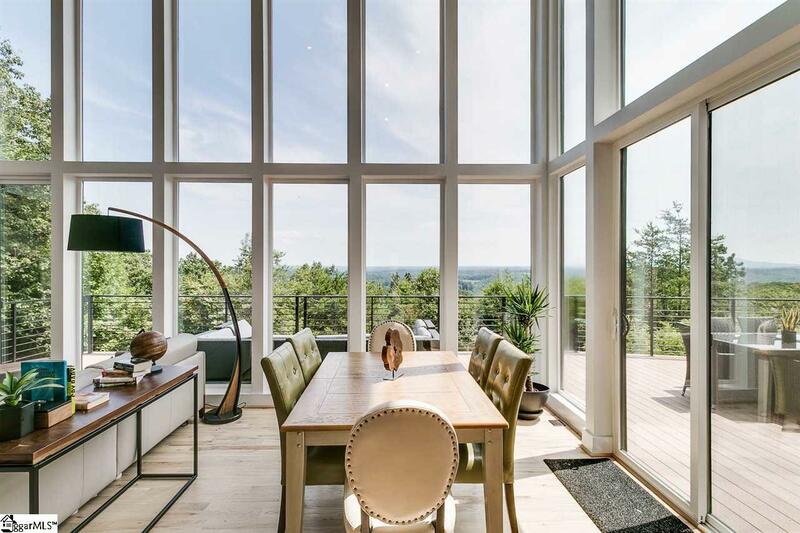 The home, which is over 40% glass, offers double-pane glass windows, multiple HVAC units, architectural roof, tank less water heater and much more. The decks are composed of Duxxbak decking with built-in water drainage system. This smart home can be controlled via an i-pad and also features a Sonos sound system with over 14 speakers that can be played in unison or separately throughout the house. There is a large out-building on the property that can be left as-is for storage or could be turned into separate living quarters. The seller/designer is providing the design for that building. If you dream of sitting on your deck, overlooking a view of the Upstate, and seeing wildlife roam on your 2+ acres this is the home for you. See it today! Listing provided courtesy of Stephanie Miller of Bhhs C Dan Joyner - Greer.